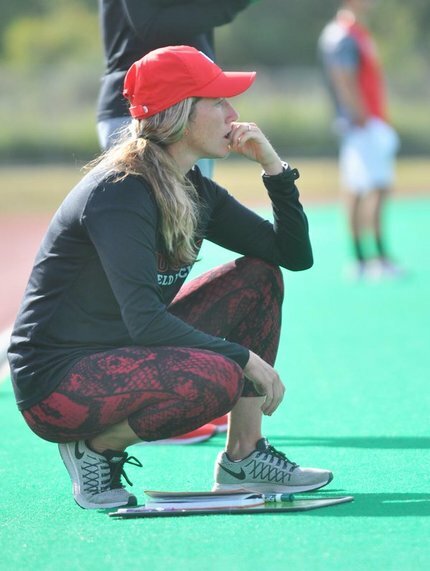 Still known by her maiden name of Long to many players and peers, Meredith Civico is the Head Field Hockey Coach at Rutgers University, the state university of New Jersey, and is regarded as one of the top young coaches in US hockey. She is now into her seventh season as Head Coach, after serving two as an assistant. As one of the youngest coaches in the BigTen, Meredith has proven she can get the very best from her players. Meredith has previously coached the Indoor Junior National Team and has captained the U.S. National Indoor Team, leading them on successful international tours to Europe and Argentina. She has played in and now coaches the U.S. High Performance group, and she is the head coach of NJ Futures Elite Academy. She has also recently returned from South Africa after a tour as the Assistant Coach to the USA Indoor National Team. Meredith won an NCAA D1 National Championship with the University of Maryland in 2005 and was a high school state champion with Ocean City High School. Together with Joey, she is the owner and director of Mid-Jersey Knights Field Hockey Club. They have one child, Noah. Originally from Sheffield, England, Joey crossed the pond in the summer of 2010. And now you have Mid-Jersey Knights. A USAFH Level III qualified coach, the highest level of coach attainable in the US, Currently a Volunteer Assistant Coach at Rutgers University, Joey constantly seeks to improve the level of hockey in this country through his work in Division 1 colleges, with USA boys East Coast High Performance, with USA Young Women's High Performance, USA Men team and now with Mid-Jersey Knights FHC. Prior to his current position at Rutgers, he was the Performance Director at Lafayette College, a post he held having previously been the Associate Head Coach at Fairfield University, a program he helped guide to the best record in its history (while at the same time completing his masters). Joey brings years of not only Division 1 college coaching experience, but also international experience. He has played in England and in Spain and was the Head Coach at Wapping Hockey Club before moving to the US. He is also a certified specialist goalkeeping coach. He is the co-director of Mid-Jersey Knights FHC. 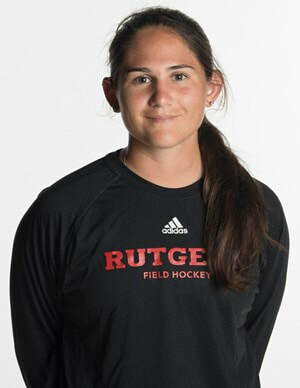 A goalkeeping specialist, Maddy is an assistant coach with Rutgers University Field Hockey. She will work largely with the Knights' goalkeepers and use her extensive experience in college and international hockey to coach high-level skills to goalkeepers of all ages. A native of Ridgefield, Conn., Sposito was a three-year starting goalkeeper at Fairfield, and one of the best in their history. She tallied 23 career wins, 271 career saves and a save percentage of .708. As a senior, she posted a career-high three shutouts, 95 saves and earned a spot on the America East All-Championship Squad. During her junior campaign, she ranked as high as 10th in the national field hockey rankings with a goals against average of 1.27. Sposito graduated from Fairfield in 2013. Maddy competed with the U.S. National Indoor Team for the second consecutive year in 2014. She allowed no goals in her game-time for the U.S. National Team in a 7-1 win over Canada. 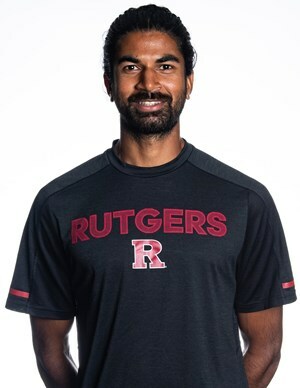 Ajai enters his second season as the Rutgers field hockey assistant coach in 2018. In his first season on staff in 2017, the team won nine games and spent eight weeks in the national rankings, finishing the year ranked No. 21 in the nation. Ajai is highly accomplished professional player, with over 100 international caps and is the current captain of the USA Men’s Field Hockey team. The Agoura Hills, Calif. native earned an undergraduate degree from Johns Hopkins, where got his start in coaching as an assistant there for three seasons. Dhadwal spent two years coaching at Brunel University London, coaching the men’s and women’s university teams. He also was the head coach in 2015 for Canyon Crest Academy in San Diego, Calif.